It's been long in the works, and I've waited eagerly for this book to be released since I first heard about it! 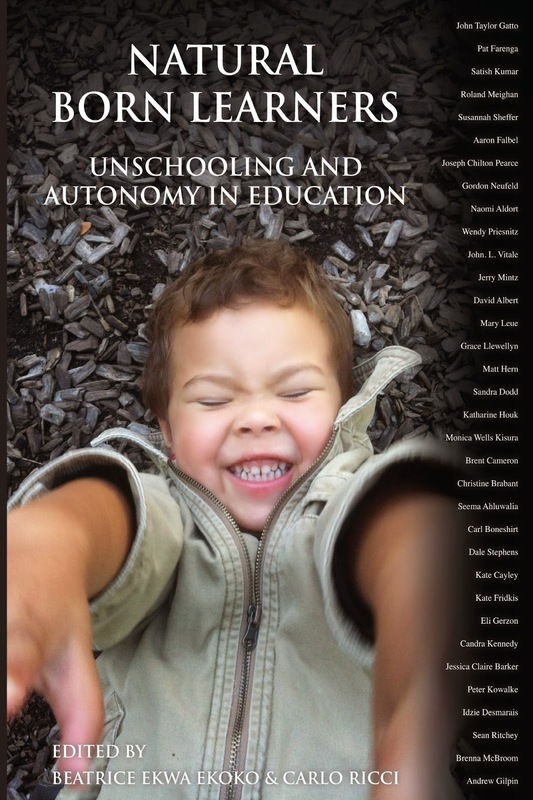 Edited by Beatrice Ekoko and Carlo Ricci, it includes transcribed interviews with some of the best known names in the unschooling and alternative education communities: Wendy Priesnitz, Pat Farenga, John Taylor Gatto, Grace Llewellyn, Sandra Dodd, Matt Hern, and many others! And then there's the interviews with grown unschoolers, about half of whom I know or have at least met in person, the other half of whom I know online. So I feel a mix of comfortable and humbled to be included in that company. The actual interview I did? Well, that I feel less good about. Conducted in April of 2010, to be honest reading it I wince a bit. It's not exactly what I would have said had I been writing those responses now! I was given the opportunity to edit it at some point, but if my hazy memory of the instance serves correctly, I never responded to that email... Oops. But, my personal opinion on old writing of mine aside, this book looks fantastic. A PDF version is sitting around in my computer, and I am very much hoping to finish and review it at some point, but since that doesn't seem to be happening as quickly as I'd originally hoped, I just wanted to share this book now! I highly recommend you check this book it out, as all you really need to do is read the contents to know it's packed with insights from many thoughtful and engaging people with important things to say! Read all about the book here, or just go straight to Amazon to buy either the print or kindle version.